But THIS season? Changes, changes, changes. 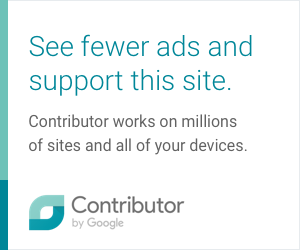 Not only are there more designers that are interesting compared to last season, but Project Runway has made some changes production-wise that I am hoping they keep. 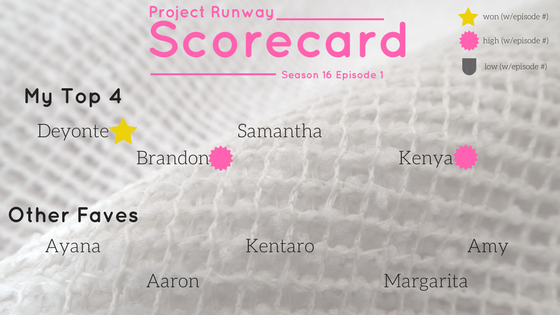 Like Project Runway's season 14, I will be keeping a scorecard to see how well I do in figuring out who'll make it to New York Fashion Week. Think of it as a sort of Fantasy Project Runway. I know I talked about Brandon and Amy, BUT I really did like what Brandon ended up making and I was sort of intrigued by what Amy sent down this first runway. What did you think of the Project Runway season premiere? Let me know in the comments below or on Facebook or Twitter @ThatNewMommy . 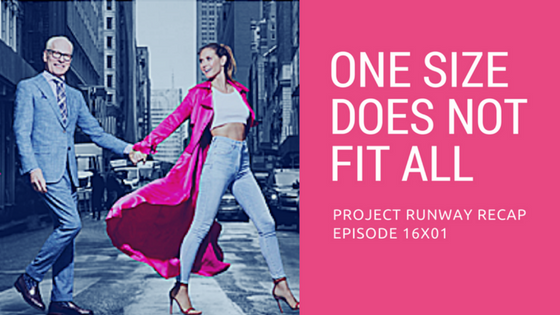 0 comments on "Project Runway Season 16 Episode 1 Recap - One Size Does Not Fit All (16x01)"